ACE market-listed Instacom (Fundamental: 1.25/3, Valuation: 0/3) was slapped with an unusual market activity query by Bursa Malaysia yesterday following the sudden spike in its share price and volume. 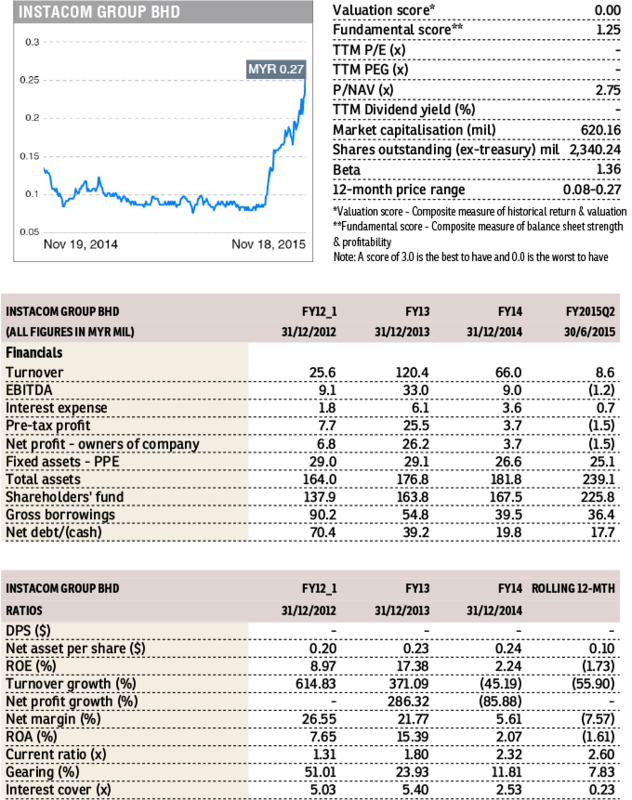 The stock — which was the most actively traded stock yesterday with 372.4 million shares changing hands — surged 18.9% to close at a three-year high of 31.5 sen.
Last Thursday, the company won a RM29.0 million contract to build telco towers as well as two construction contracts amounting to RM230.3 million from global Chinese construction giant China Railway Construction Corp Ltd. It also proposed to change its name to Vivocom International Holdings Bhd. With these new contract wins, its outstanding order book swelled to about RM506.6 million, which will keep it busy for the next three years. 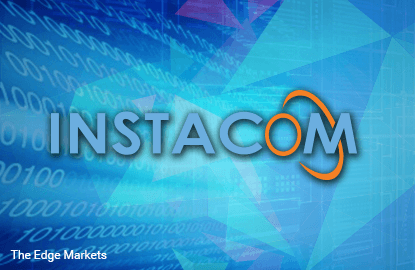 On November 5, Instacom has completed its 1-for-3 bonus issue and the listing of new shares, which were issued to acquire Neata Aluminium (Malaysia) Sdn Bhd and its wholly-owned subsidiary, Vivocom Enterprise Sdn Bhd.